THIS WORKSHOP IS NOW FULL. WE WILL PUT YOU ON A WAITING LIST AS, SOMETIMES, FOLKS CANCEL. PLEASE LET US KNOW IF YOU WANT TO BE ON THE WAITING LIST. This workshop will be an introduction to the art and science of Geomancy - connecting and engaging with the Spirit of Place and all of its many faces and intelligences. The relationship that we have with place and landscape is central in our life – some landscapes need healing, all landscapes enjoy and respond to the connection of love with the human heart and mind in an ongoing dialogue and dance. We will learn about and meet with dragons, elementals and nature spirits, and explore the dynamics of relationship, communication and co-operation that color and define our experience of atmosphere and character of place. Through a combination of presentations and practical exercises, participants will return home with skills and awareness to immediately apply at home, in the garden and at work. Dr. Patrick MacManaway is a third generation practitioner of psychic and healing arts. Past President of the British Society of Dowsers, and founding member of Circles for Peace, he holds a degree in Medicine from the University of Edinburgh, and is the author of several books and CDs. 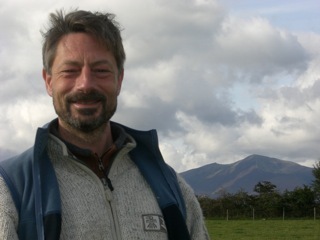 Patrick consults and teaches in the US, UK and Australia with domestic, commercial and agricultural landscapes of every kind. The cost of this three day course is $395 which includes all instruction, meals and accommodation. You can register for this course with a deposit of $100 by sending a check to: Partner Earth Education Center, 1525 Danby Mtn. Rd., Danby, Vermont 05739 or you can pay via Paypal below.